Borussia Dortmund vs SC Freiburg predictions for this weekend’s German Bundesliga. Dortmund look to maintain their four-point cushion atop the league when they host Freiburg at Signal Iduna Park on Saturday. Read on for our free betting tips and match preview. Former-Nice and Borussia Monchengladbach boss Lucien Favre has created a Dortmund side we haven’t seen since the glory days of the early 2010’s. Der BVB‘s thrilling 3-2 comeback against Bayern Munich in Der Klassiker just before the international break was the final piece of the puzzle needed to prove themselves as true title contenders, and with their 30 point total seeing them four points clear at the top and nine points clear of Bayern, it’s hard not to fancy their chances. Spanish forward Paco Alcacer, on loan from Barcelona, has been one of Dortmund’s many attacking players to find themselves at the peak of their game – incredibly, he’s scored nine in just 262 minutes of Bundesliga football (a top-flight record) as a super sub. Veteran Marco Reus is another who has been a vital cog in the attacking quartet which is averaging a massive 3 goals per game this season! Freiburg went into the international break disappointed as their performance in the 3-1 defeat at home to Mainz contrasted the valiant 1-1 draw away to Bayern Munich in the game prior. Coach Christian Streich has openly criticised his side’s “lack of aggression and stability” and that defeat also came at the added cost of midfielder Nicolas Hofler, who has been ruled out for the foreseeable future (see team news). Freiburg are at least boosted by the return of 17/18 top scorer Nils Petersen (15 goals in 32 appearances) from injury here. He featured in just over 20 minutes off the bench in last weekend’s 1-1 draw at home to Werder Bremen and would add some serious attacking threat going forward if he does play on Saturday. 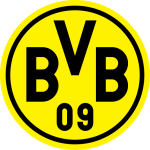 However, Favre’s Dortmund are very much up and running and Signal Iduna Park is always a tough place for visitors to come and take a result – Dortmund have won in nine of their last eleven league outings there (W9 D1 L1) – so it’s hard to look past the hosts for another result here. Dortmund are proving one of the most dangerous sides in the Bundesliga at the moment and when you look at their attacking talent you shouldn’t expect anything less. Attackers Marco Reus, Mario Gotze, Jordan Sancho and Christian Pulisic (to name just a few) have all been regular contributors on the scoreboard in the 18/19 season so far and at home they’re even more deadly. Dortmund have put seven past Nurnberg, four past Augsburg and three past Bayern in their last three Bundesliga home wins, and they’ve been averaging almost four goals per game there in 18/19 overall. If goals are of no question for Dortmund, what about Freiburg? 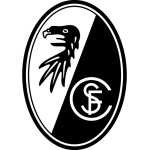 Well, Freiburg have actually not failed to score in an away match this season, and with Nils Petersen in line for a return, you have to think they have a good chance to keep this run-up, given that the hosts have failed to keep a clean sheet in 83% of their matches at Signal Iduna Park. However, one notable stat about the visitors that remains is their defense on the road. Freiburg’s relatively poor away form (W1 D2 L2) has seen them fail to keep a clean sheet in any of their away matches too, which is the last thing you want against an in-form Dortmund offence. Dortmund’s strength, form and historically strong home record (see head-to-head) against Freiburg should, therefore, see them come out on top of a high scoring affair. Our prediction: 3-1 Dortmund. Borussia Dortmund are unbeaten after the opening 12 games of a Bundesliga campaign for the first time (W9 D3). Over 2.5 goals were scored in 100% of Dortmund’s home and 60% of Freiburg’s away matches so far this season. Over 3.5 goals were scored in 100% of Dortmund’s home matches and 60% of Freiburg’s away matches this season too. Dortmund have won nine of their last eleven league outings at Signal Iduna Park (W9 D1 L1). Augsburg have won just one league away match in 2018 (W1 D6 L7). Dortmund’s Paco Alcacer is the first player in Bundesliga history to score in each of his opening five sub outings.